Whether you are planning to attend college in the future or are working through how to repay student loan debt, this free workshop is for you. Get information you need about paying for college most effectively and learn about free resources to help you plan for the right career path to get you started. find out about repayment options, deferrals, forgiveness programs and more. 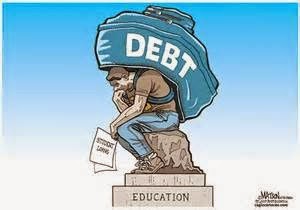 Speaker, Lauren Jones from the Education Opportunity Center will provide trusted information and advice on how to pay for education and overcome existing student loan debt. The Education Opportunity Center operated by Virginia Tidewater Consortium exists to help individuals get the education and certifications needed to compete in today's market and navigate the education payment options. To register for this free workshop: RSVP to Bankonvb@vbgov.com or call 757-385-3551.